USA and Europe are two major actors in the international space arena. Considering their relevant engagement in space, the analysis of the industrial scenarios, projects and budgetary lines of the USA and Europe aims at outlining their role in global space economy to better understand the current and future trends of the sector at international level. The global space economy reached $314.17 billion in 2013, growing of 4% from the 2012 amount of $302.22 billion. The commercial sector, including space products and services and commercial infrastructure, was responsible for the majority part of this growth. Revenue of commercial space products and activities, commercial infrastructure and support industries increased respectively by 7% and 4.6% since 2012. Government spending faced different evolutions worldwide, with a substantial reduction in U.S. space spending and budgetary increase in other countries, such as India, Russia, South Korea, Canada and the United Kingdom. The Space Foundation’s 2014 Report indicated that the total of the space economy in 2013 can be schematized as: 24% of government spending (13% USA, 11% non-USA) and 76% commercial (37% commercial infrastructure and support industries, 39% commercial products and services). 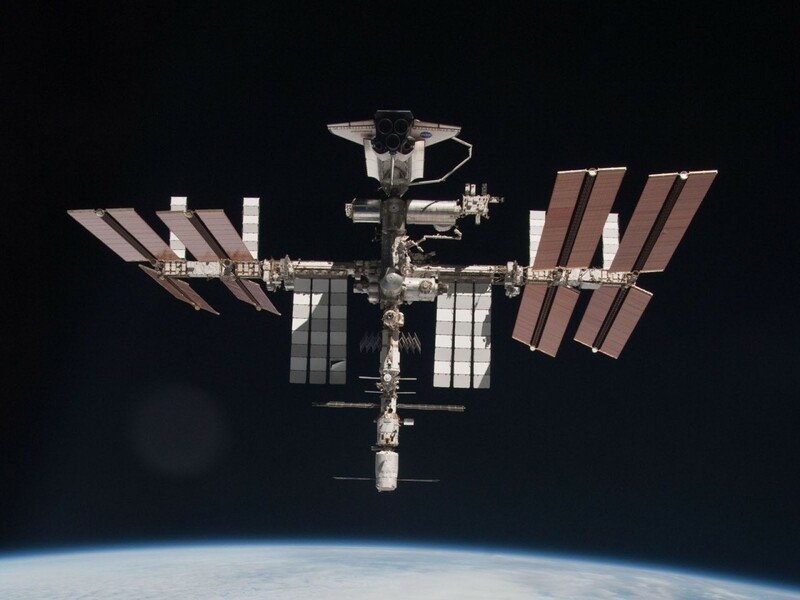 ISS with ATV & Shuttle docked captured by Italian ESA’s astronaut Paolo Nespoli. – Credits: ESA/NASA/Roscosmos. The United States has the largest space program in the world, involving several civilian and defense-related organizations. In 2012 it was responsible for 61% of global government space spending, maintaining the first rank among public space budgets of major space powers in the following years, despite of budgetary reductions. For Fiscal Year 2016, President Obama is requesting $18.529 billion for NASA with an increase of 2.9% above the FY2015 appropriated level. NASA’s budget debate for FY2016 shall be presumably focused on four main fields: Earth science, planetary science, the request for the Asteroid Redirect Mission (ARM) and funding for the Space Launch System (SLS), Orion spacecraft and commercial crew. For Earth science’s budget, Obama is requesting $1.947 billion, $174.8 million more than the previous fiscal year. This growth encompasses a decision to begin funding for a “multi-decadal sustainable land imaging program”, including building and launching the next Landsat satellite, and the decision to shift to NASA from NOAA (National Oceanic and Atmospheric Administration) responsibility for all non-defense satellite Earth observation programs other than weather satellites. On the contrary, the request of $1.361 billion for planetary science constitutes a decrease of $76.6 million with respect to the FY2015 appropriations. The Asteroid Redirect Mission (ARM) is part of the Asteroid Initiative and proposes to send a robotic probe to a small asteroid and redirect it into a retrograde orbit around the Moon where it would be visited by astronauts to collect a sample and bring it back to Earth. ARM is a controversial issue within the space community and the Congress, furthermore it is not a specific line item in NASA’s budget. Funding is spread across NASA’s Science Mission Directorate (SMD), the Space Technology Mission Directorate (STMD), the Human Exploration and Operations Mission Directorate (HEOMD) and is not identified in budget documents or congressional appropriations bills, making difficult to track the financing for the project. This year the agency is proposing to spend $220 million on the Asteroid Initiative, but is stressing that all but $38 million of that total would be spent even if the ARM mission did not exist. For FY2016 NASA is requesting notably less for the Space Launch System and Orion than Congress appropriated for the previous year, while is requesting a substantial increase for commercial crew. This reflects the tensions between Congress and the Democratic Administration about the priority role of SLS and Orion versus commercial crew. In 2013 there were 81 orbital launch attempts worldwide, of which 78 were successful in placing their primary payloads into orbit; 23 of them were commercial launches, of which the USA conducted 6. The space industry is located throughout the U.S., especially in California, Texas, Florida, New Mexico, Colorado and Alabama. For 2013 OECD indicated that the USA space budget as a share of GDP was 0.23% and the space budget per capita was $123.2; there were 415 operational satellites, 28.2% share in scientific production in satellite technologies and 34 million subscribers to Direct-to-Home satellite services in 2011. In Europe, civil government spending on space programs comes from activities directed by the European Union and executed by the European Commission, mostly implemented by ESA as a procurement and development agency, ESA’s activities funded by its Member States, EUMETSAT activities and projects carried out by European countries independently from the above-mentioned entities. The European Defense Agency (EDA) is involved in defense-related space activities. The European Union’s space budgets are mostly devoted to two flagship programs, the global satellite navigation system Galileo and the Earth observation Copernicus. In 2012 the European Commission’s budget included €537.07 million, about 0.36% of the EU’s €147.2 billion 2012 budget, to fund space-related programs. 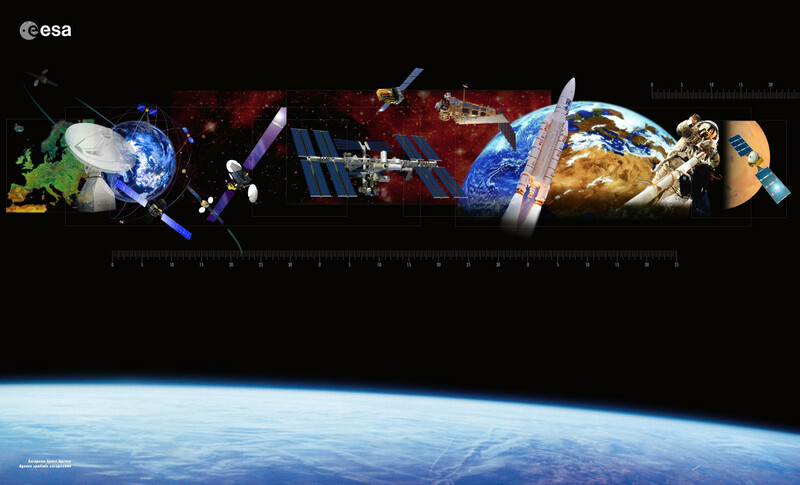 Most of the EC’s space budget is executed in cooperation with ESA, with funds transferred from the EC to ESA each year. The European Organization for the Exploitation of Meteorological Satellites (EUMETSAT) carries out a large part of its activities with ESA. According to the agreement between the two agencies, ESA is responsible for developing the space segment, while EUMETSAT is responsible for launch procurement, ground segment and missions operations. 74% of total sales of European space industry are associated to European customers; 52% of sales are related to governmental expenditure which is channeled through ESA, EC, EUMETSAT and national programs, 48% refers to the commercial market. This includes all sales to private entities in Europe and the rest of the world and those to public entities outside Europe. In 2013 the commercial market covered 46% of industry sales (€3 billion). The commercial satellite systems segment totaled €1.9 billion, €1.7 billion in telecommunications systems and €0.22 billion in Earth observation and scientific systems. With regards to the operational launch system segment, industry sales to the commercial satellite launch company Arianespace amounted at €0.85 billion. The ground systems and services segment is worth €230 million. ESA conducts both “mandatory” and “optional” programs. Member States’ contribution to mandatory activities, including the agency’s basic activities and the scientific program, is related to their GDP whereas the involvement in optional projects is freely decided by the States that are interested. ESA budget for 2015 is €4.433 billion, three main contributors are Germany (24.6%), France (22.2%) and Italy (10.2%). Referring to the largest funding items in ESA’s domains of activity, 28.3% of the budget is devoted to Earth observation, 15% to navigation, 13.7% to launchers and 11.5% to scientific program. Space in Europe – Backdrop. – Credits: ESA. Germany’s space budget is mainly funded by the Ministry of Economics and Technology and the Ministry of Transport and Digital Infrastructure for issues related to Galileo. The Ministry of Defense, on the other hand, funds military research conducted in the German Aerospace Center (DLR). In 2013 the institutional space budget was about €1.3 billion, about 50% to ESA and other European programs and the rest to the national research program and EUMETSAT. National space industry is characterized by the production of high-technology components and systems, especially on satellite manufacturing. France is currently the second biggest contributor to ESA, devoting about €2.2 billion to space in 2013, almost 50% allocated to ESA and the rest to the space agency CNES for national and bilateral programs. CNES is jointly supervised by the Ministry of Higher Education and Research and the Ministry of Defense. In 2013 the biggest item in ESA and CNES allocations was “Access to Space”, the launcher program. Italy manages its space programs and budget through the space agency ASI under the supervision of the Ministry of Education, University and Research. In 2013 the space budget was €921.5 million, €767 million managed by ASI, of which contributions to ESA activities accounted for more than half of the total budget, and the main line item was Earth observation.